I am just on my way back from the ISPA conference in Kissemmee/Orlando Florida. Orlando. Once my home for a year (1987) when I was there on a basketball scholarship, and it brought fond memories back and I regretted only staying for 2 nights. The spa event was super professional, great organization, and although it is in essence a US centric event, it has attendees from over 40 countries. It is set up in a way that there are general sessions for 1.5 hours in the morning, then the expo opens and one can chose to walk the expo or attend the many valuable breakout sessions or why not book a facial at the small mini-spas set up. There is lots of time for network and in the evenings there are myriads of parties and gatherings to join. Some for all, and some by invitation. What ISPA is really about is networking and I did my fair share of that. After arriving at 6.30pm (00.30 my time in Sweden) I went straight into dinner with some dear friends, Anne McCall from Fairmont, Polly Johnson from SpaEquip and Elaine Fernard from SpaStrategy, who had Moet waiting and we had a great dinner. I was invited to a party at Universal Studios, but after the dinner bed was calling…. As we are on the dinner theme, the following night I was invited to the late “Alex Szekely Humanitarian Award dinner”. 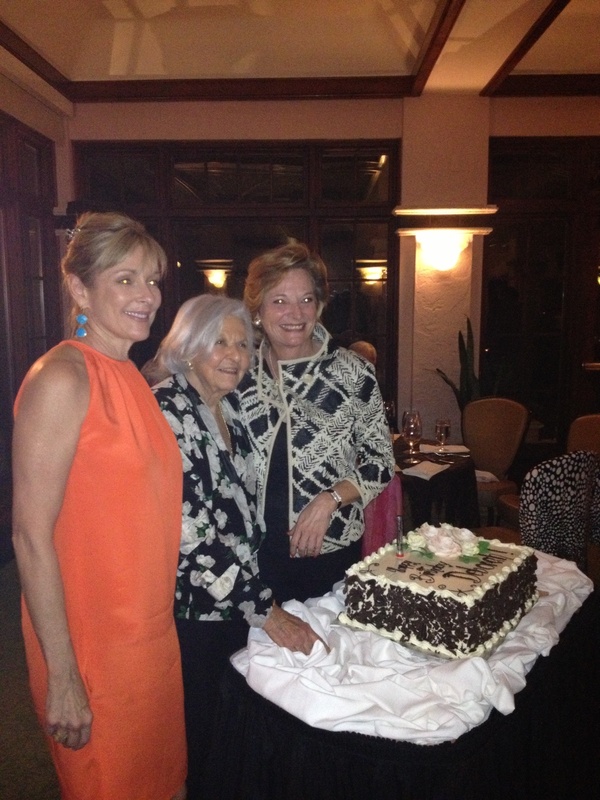 Alex was taken from us way too early by cancer, and the dinner hosted by his mother Deborah Szekely, 90 years, founder of Rancho la Puerta (a fantastic destination spa), Susie Ellis from Spa Finder and Mary Elisabeth Gilford from Washington Spa Alliances. This was a moving event which showcased the passion and love that is all around us and why we all love working in this industry. People shared fond memories of Alex and experience and great conversations were held. Poker, spa management workforce gaps, the US election debate, the future vision of the spa industry and how we have to evolve in the coming years wear dealt with and I was honored to be part of that. I even sat next to a married couple, who actually met 7 years ago at the same dinner event! In the next blog post I will tell you a bit what I found walking the expo – some very interesting stuff and also a bit about today’s speech I held at the general session, before whisking off to the airport and back to good old Stockholm. Thank you! It is a wordpress theme: Hemingway Rewritten. Best of luck!